ABOVE: DEBORAH THOMAS, THE GREAT GREAT GRANDDAUGHTER OF CHARLES PEARCE, THE FOUNDER OF W. PEARCE & CO. PHOTO TAKEN AT HOMESPUN CASHMERE. Deborah Thomas from Doe would like to rewrite British leather history. Beginning with her family’s history, one that is 4 generations rich in the tanning and finishing of embossed leathers. From there, she’s hoping that her efforts will help to revitalise the tradition and reputation of British manufacturing, even if only on a small scale. ABOVE: THE DOE TOTE BAG IN MOREL. PHOTOGRAPH BY WAREMAKERS. In 1908, at the age of 22, Deborah’s great great grandfather, Charles Pearce, founded W. Pearce & Co., named after his own grandfather who helped him finance the business. By 1925, the company had become the fastest-growing leather company in the country and was expanding into the global market. 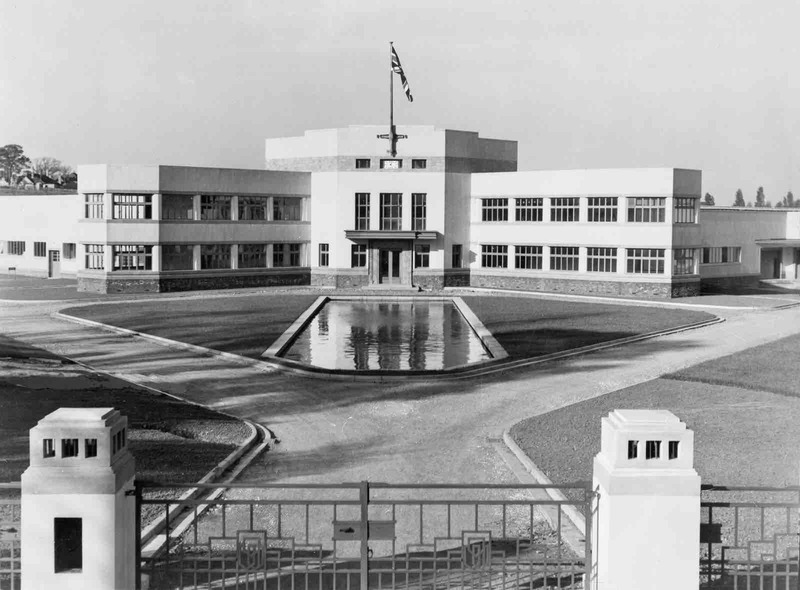 Eventually the company evolved into one of Northampton’s flagship companies and they moved into a newly built Art Deco headquarters, which still stands today. Winning the Queen’s Award for Export twice, the company boasted the largest collection of leather embossing plates, many of which are in the The Museum of Leathercraft in Northampton. By the 90’s, the company’s fortunes had turned. 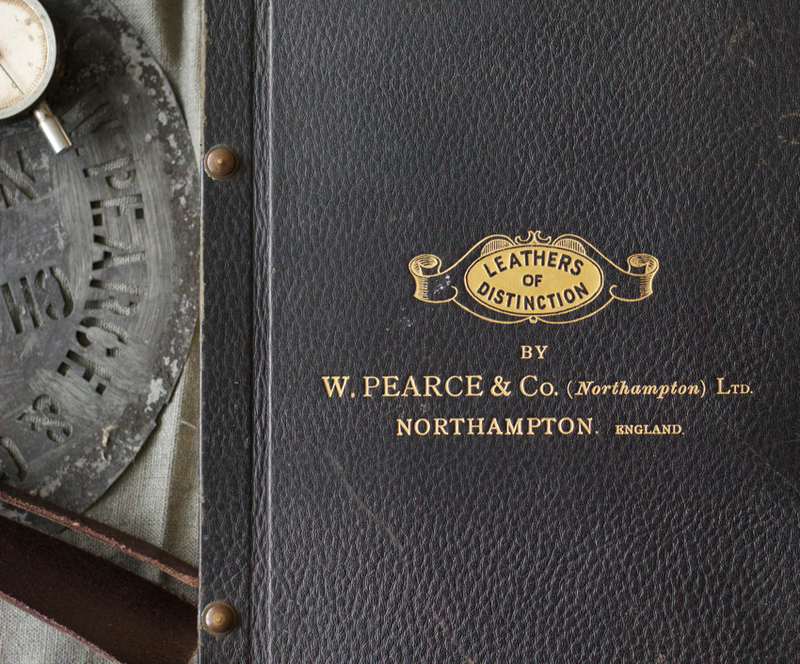 Unable to compete with the lower cost of overseas manufacturing, W. Pearce & Co. closed its doors in 2003. Ten years later, Deborah launched Doe, selling her own handmade bridle leather designs and injecting life back into the family history. 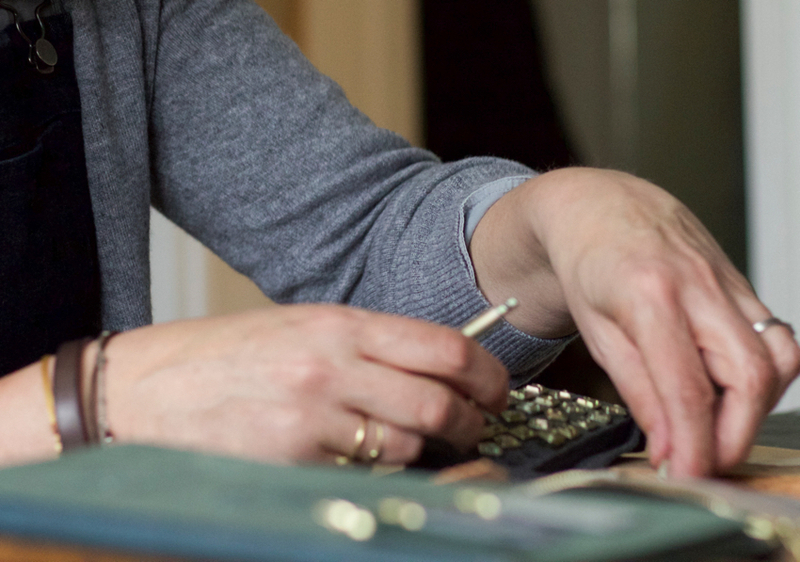 From purses to bags every item that Deborah sells comes imbued with a little piece of W. Pearce & Co. history from her extensive knowledge of this traditional British craft to a small exquisite detail that comes straight out of the company’s archives. Read on to find out what this detail is and help Deborah and Doe rewrite history. ABOVE: LEATHER SWATCHES FROM THE COMPANY ARCHIVES THAT HAVE BEEN CUT AND WAITING TO BE MADE INTO DOE ZIP PULLS. A DOE CROSS BODY POUCH IN MOREL IS NEXT TO THEM. 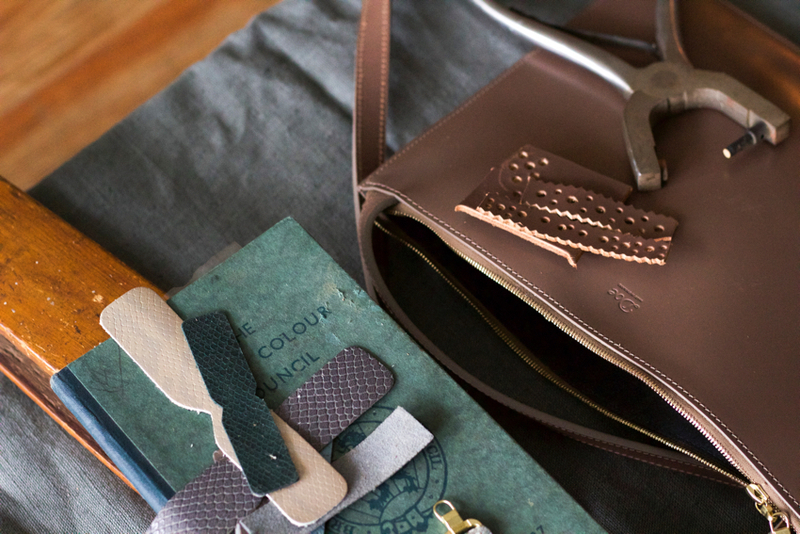 FF – Other than the family business, what other experience do you have in leather? DT – After I graduated from university in the mid-eighties, I went to work for The Regent Belt Company in their Clifford St., London showroom. They made high quality bags and belts in an old Victorian factory in rural Northamptonshire a few miles from where I grew up. My job was to work with designers putting together their own label ranges and checking that everything was then made to specification. I had a fantastic few years working with such diverse UK customers; Vivienne Westwood, Paul Smith, Joseph, Whistles and buyers from stores such as Selfridges. I then moved on to Osprey who at the time had their manufacturing unit in Harpenden and were going through exciting times opening their London store in St Christopher’s place. A lot of the leathers we worked with came from my family’s tannery, which was exciting to me. In the 90’s we watched many companies in Northamptonshire, who employed many craftspeople, shut their factories. When we finally had to close W. Pearce & Co. in 2003, it was heartbreaking to have to let nearly 200 skilled workers go. This is one one of the reasons why I keep my production in the UK. 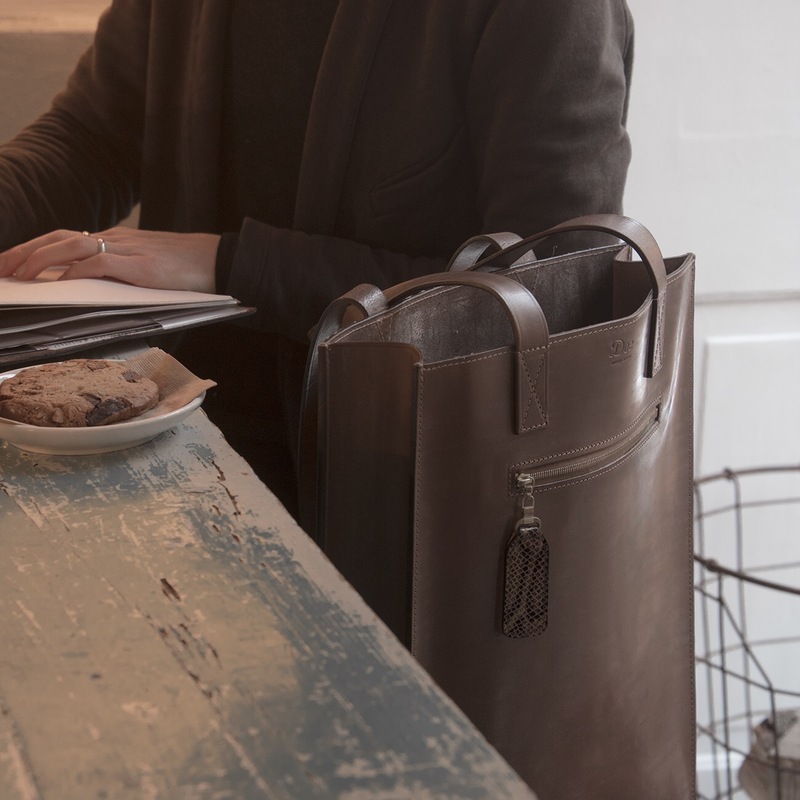 Doe pieces are crafted from hand-waxed bridle leather and made near Walsall in the Westlands, an area know for its saddlery skills. 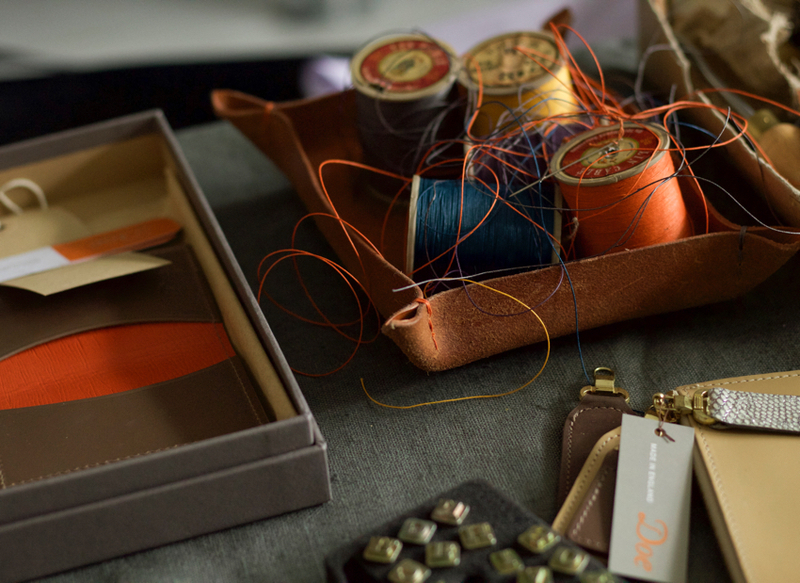 ABOVE: THE DOE OYSTER CAR HOLDER IN MOREL LINED WITH PRINTED LEATHER IN A CONTRASTING COLOUR FROM THE COMPANY’S ARCHIVE SITS IN A BOX, WAITING TO BE SHIPPED OUT. FF – Why did you start Doe Leather? DT – I started working on Doe in 2010 a few years after we closed the tannery when my father and I discovered boxes of old archive leather swatches that the salespeople had taken around the world — I knew I had to do something with them. I spent two and a half years finding the right company to make my collection and deciding how best to use these precious remnants of British leather manufacturing history. 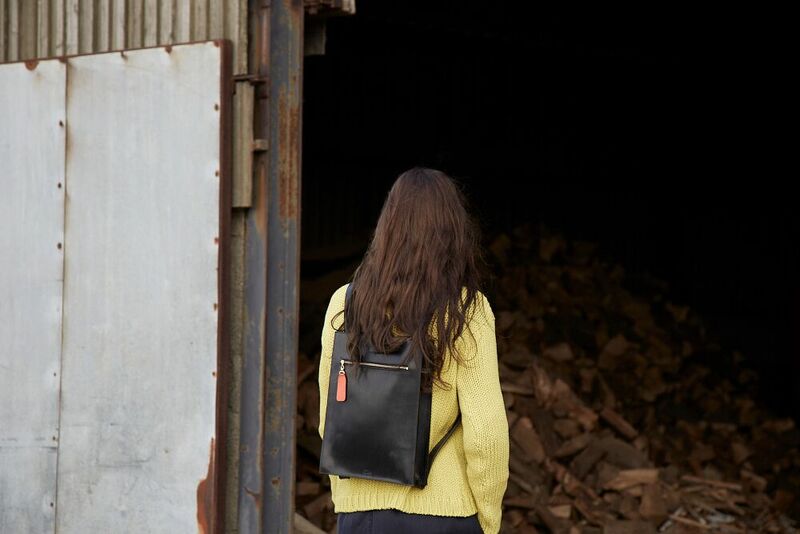 ABOVE: THE DOE LEATHER BACKPACK IN BLACK WITH AN ORANGE ARCHIVED LEATHER ZIP PULL. PHOTOGRAPH BY JULIA BOSTOCK. 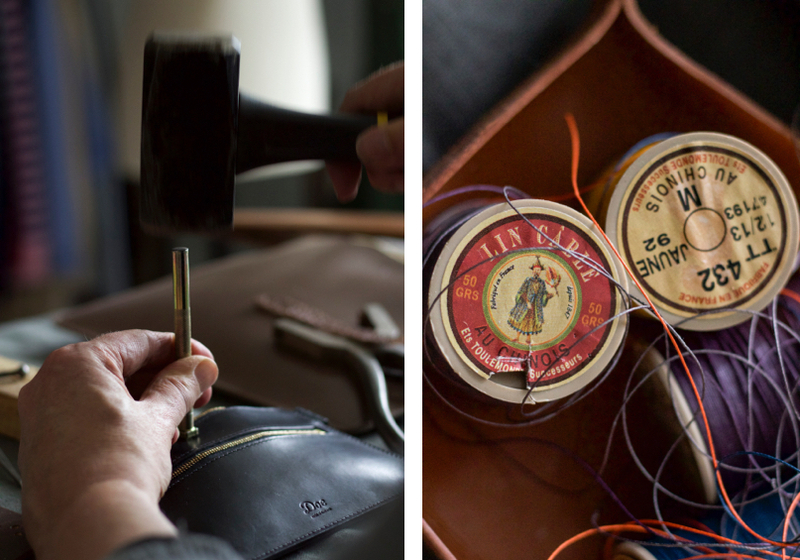 FF – And what did you decide to do with these precious pieces of leather manufacturing history? 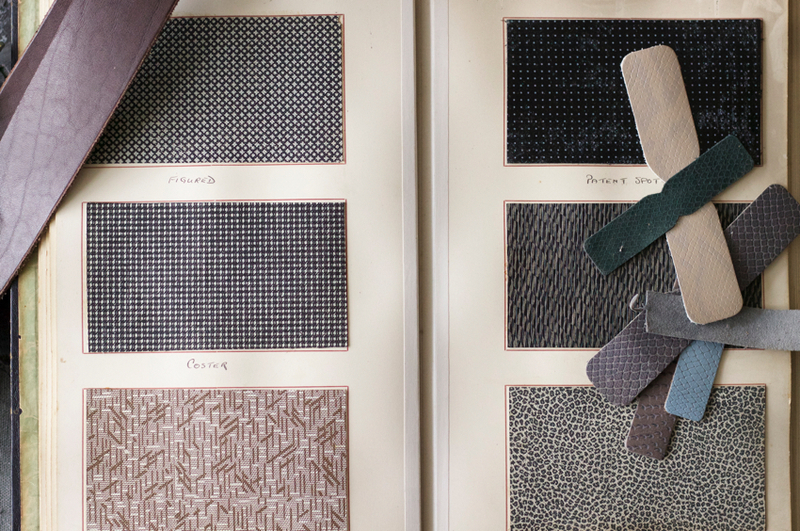 The collection of archive leather prints feature a wide range of colours and effects dating back to the 1920’s. Every season we select up to a dozen to hand stitch into zip pulls, discs behind brass closures and pen loops and then we integrate these items into our products. Effectively, each Doe piece is part of a collectible and limited edition. 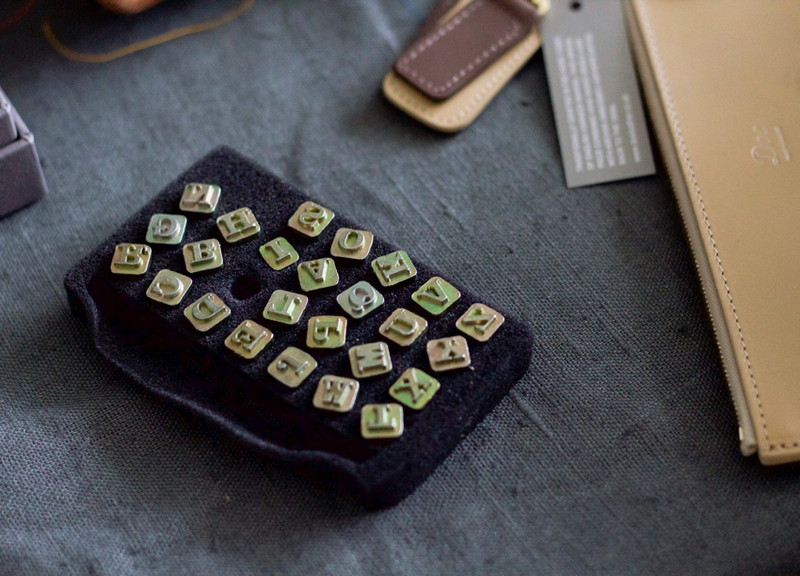 ABOVE L: DEBORAH USES INITIALING STAMPS TO PERSONALISE A DOE TWO ZIP PURSE IN BLACK. ABOVE R: SPOOLS OF THE COLOURED THREADS THAT DEBORAH USES FOR STITCHING HER LEATHER PRODUCTS TOGETHER. FF – How did you come up with the name, Doe Leather? DT – The symbol of the Buck is featured on the crests of many Leather Guilds. The Worhipful Company of Leathersellers is an example. A doe is the female. It’s my little form of protest. I remember the tannery as being almost all men, both on the tannery floor and in the boardroom! ABOVE TWO: DEBORAH OCCASIONALLY RUNS LEATHER EMBOSSING WORKSHOPS. FOR THE LATEST SCHEDULE INFORMATION, FOLLOW HER ON HER BLOG AND ON INSTAGRAM. ABOVE: AN OPEN PAGE OF MANY FROM A PRINTED SAMPLE BOOK BY W. PEARCE & CO. ABOVE: THE COVER OF A COMPANY SAMPLE BOOK OF THE LEATHER SWATCHES THAT WOULD HAVE BEEN TAKEN AND SHOWN AROUND THE WORLD. 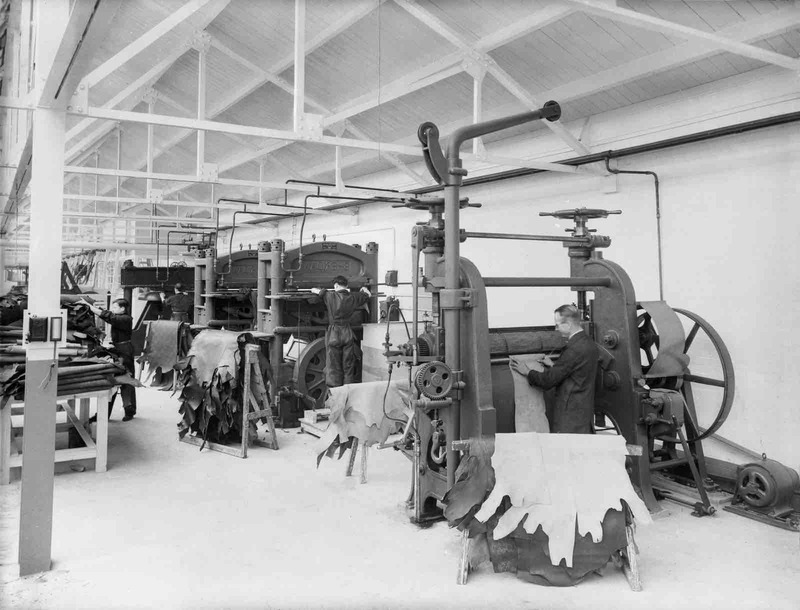 FF – Was the tannery an important part of your childhood? DT – I have such strong memories of the tannery growing up. My father wafted in in the evenings on a breeze of leather smells- so distinctive. And then when I was older I had a series of holiday jobs there. Making up swatch books was my favourite job. Endless filing and pushing this funny gilt trolley full of 1930s green, china teacups into the directors’ boardroom were my least favourite. ABOVE: THE ART DECO BUILDING THAT SERVED AS THE W. PEARCE & CO. HEADQUARTERS SINCE 1939 WAS CLOSED IN 2003. 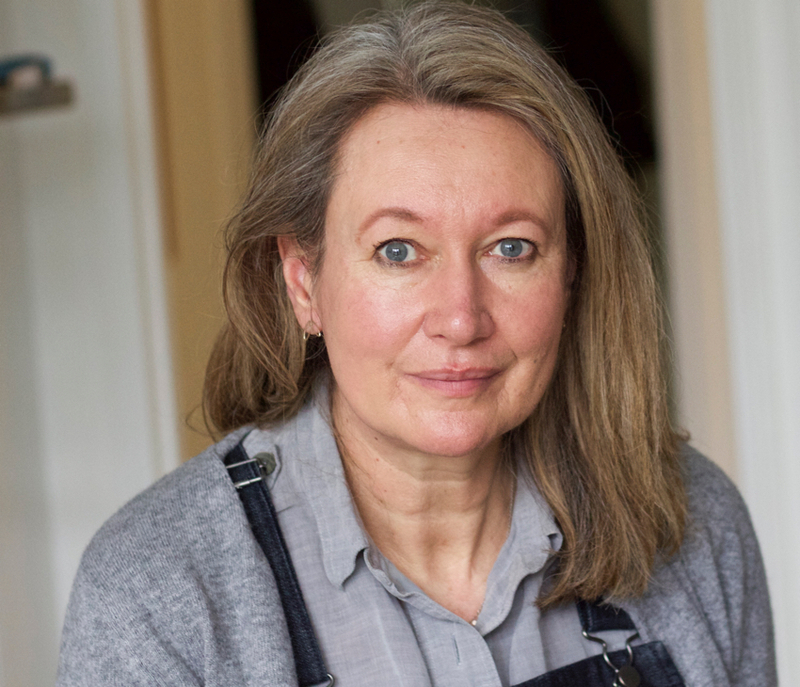 “I VIVIDLY REMEMBER THE TANNERY MOTTO ON A PLAQUE IN THE OCTAGONAL PARQUET FLOORED ENTRANCE HALL, ‘INDUSTRY, INSPIRATION, COOPERATION’,” DEBORAH SAYS. 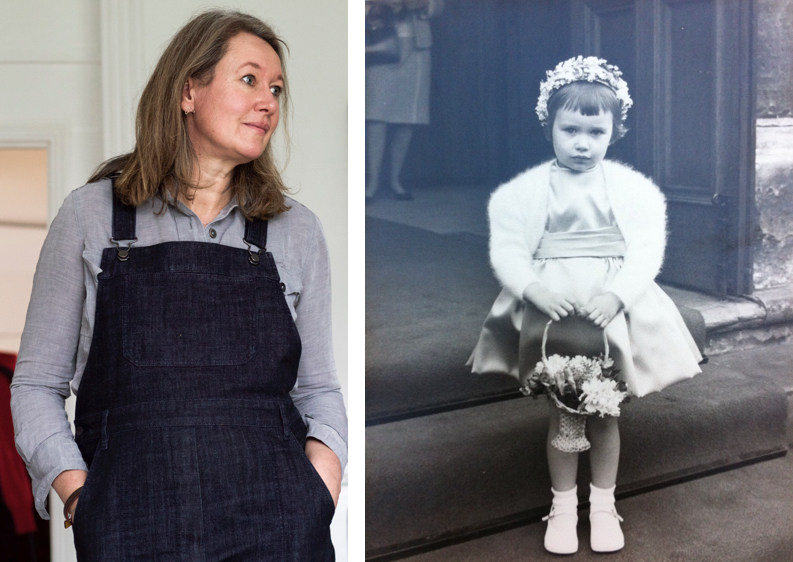 ABOVE L: DEBORAH’S EVERDAY OUTFIT THIS WINTER — DENIM DUNGAREES. ABOVE R: DEBORAH AS A FLOWER GIRL. DT – Starting Doe made me ask more questions about how our clothes and accessories are made, the conditions of the workers and the sustainability issues surrounding fast throwaway fashion. I look better anyway in simple shapes and more masculine cuts and my favourite wardrobe staples are old Margaret Howell carpenter jeans that were passed on to me by a friend, black and grey jackets, brogues and plimsolls. As for when the weather turns warmer, I am still looking for the perfect summer dress! 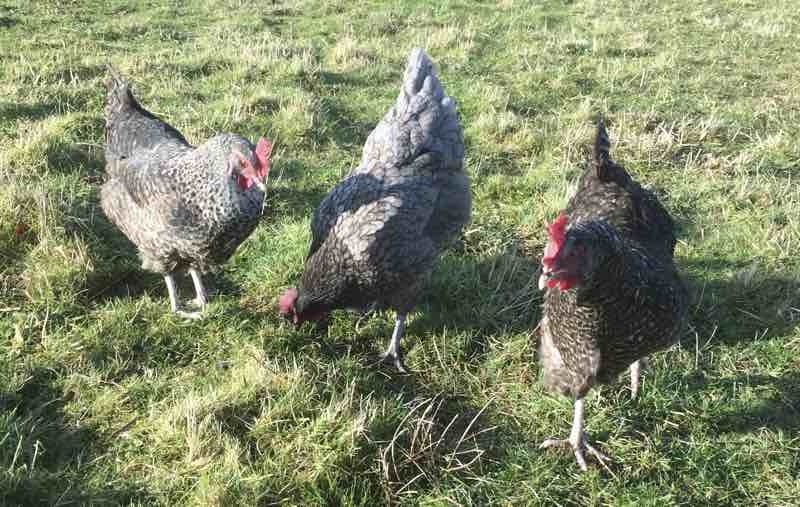 ABOVE: THE FAMILY OF MARAN CROSS HENS THAT PROVIDE DEBORAH’S HOUSEHOLD WITH A REGULAR SUPPLY OF FRESH EGGS. DT – There are always eggs from our own hens in our prescient pantry and because they roam on grass all day they have the most amazing bright golden yolks. In the summer months we grow our own salad leaves but all year round we are lucky enough to have the best farmers’ markets within a fifteen minute drive away. Oh, and we are big fans of Pump Street Bakery’s bread and chocolate! 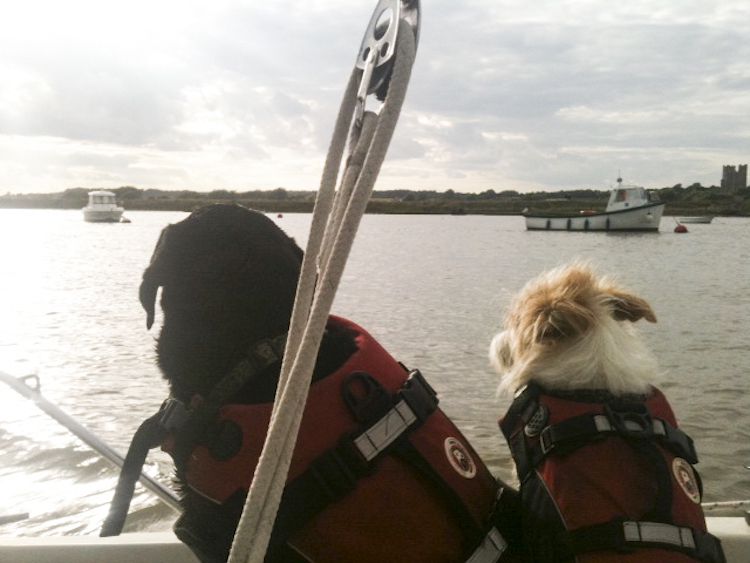 ABOVE: SPIDER AND NOAH, THE FAMILY DOGS, WITH THEIR LIFE JACKETS ON. DT – I think being in your fifties is an exciting time and it certainly feels right to be growing my business now, but it can feel the most challenging decade in a way. Hormones raging, tricky teenagers and ageing parents can seem overwhelming . To keep emotionally and physically well I practise Pilates and also try and walk briskly every day for an hour with our dogs in the beautiful valley we live in. I recently attended a Mindfulness course and attempt short bursts of meditation when I can although this is definitely work in progress! In the summer we all relax by sailing our little bright red day boat ( Ketchup!) on the peaceful River Alde. And I love to read- it’s my escape into other lives and places. Above: The world of Doe — Maran Cross hens and luggage tags. Artwork by Christine Chang Hanway. A Fabulous Fabster thank you to Deborah Thomas! Love what Deborah is doing and truly beautiful product. I am a big fan of Deborah’s work and have two of her bags. The quality is really, really good. I am producing a brochure to market new homes at Pearce Leatherworks on behalf of Lagan Homes, the developer, in particular, some apartments in the old Power House. I would like to use a couple of photos from this blog (the front of the main offices and the tanning machine) as part of the history page. I am hoping you would allow this. I am happy to show you the page if you have an email address I can send it to. Having suggested this to my client and they now want the brochure to be printed in a week, which I was not expecting, so I am under a bit of pressure to get going. Hopefully, you will get this message directly and so can give me an answer. Thank you.